Majority of the people want to have a picture-perfect smile. 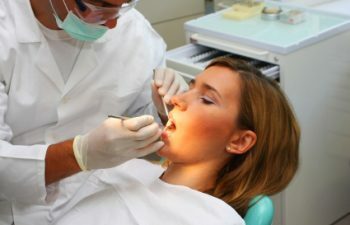 But it is not possible if they are suffering from any cosmetic dental issue such as chipped, uneven, or decayed teeth. Dental Crown is a “cap” used to cover severely damaged teeth to restore its appearance. Having full, strong, and healthy teeth is one step closer to having a perfectly formed smile. Allen Dentistry provides Dental Crowns as a cosmetic procedure to restore the teeth’s appearance and function. A Crown is a tooth-shaped dental cap used to cover a damaged tooth entirely. A dental crown improves the appearance of the teeth by restoring its shape, size, strength or alignment. The crowns are placed over the tooth fully encasing the entire visible portion of the tooth. It lies at and above the gum line to give off a natural-looking structure and function. Dental crowns can also serve as a single tooth restoration in a dental implant. We at Allen Dentistry provides Porcelain Dental Crowns to match the color of the patient’s existing natural teeth. According to the American Dental Association, the sealing ability of the porcelain crown depends on the materials used for the filling and the quality of the natural tooth. The process and application of Dental Crown usually take two visits to the dental office. The dentist will examine the tooth to determine whether it can support a crown or not. The tooth will then be prepared by filing or removing some of the outer portion (enamel). If a tooth is severely damaged, the dentist will fill it in to make sure that it can properly receive and support a crown. An impression of the tooth and the surrounding structures will be taken and sent to a dental lab for the custom-creation of the permanent crown. While the permanent crown is prepared, the patient will have a temporary crown until the permanent placement is ready. As the permanent crown is ready, the patient will return to the dental office for the final fitting. The temporary restoration is removed, then the permanent crown is fastened to the tooth using a special adhesive. After the placement of the dental crown, it would take some time for the patient to get used to it, until such time that the dental crown can function as a regular tooth. Aiming to restore your teeth as natural as it was before? Contact us to know more about Dental Crowns in Allen, TX, or to schedule your appointment with Allen Dentistry.